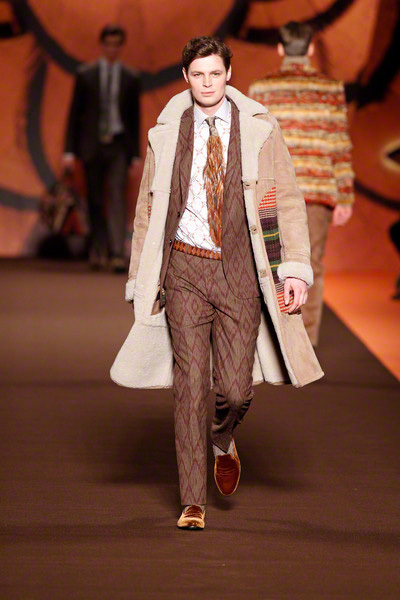 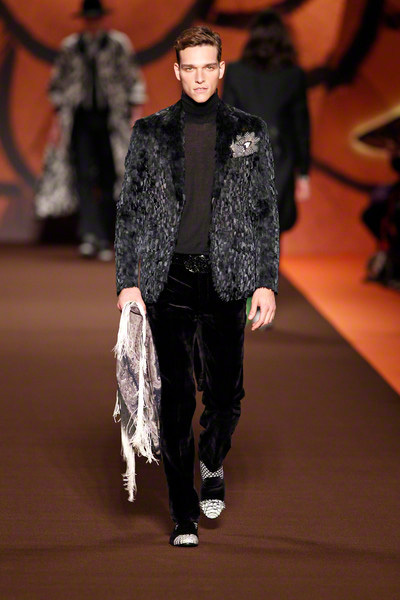 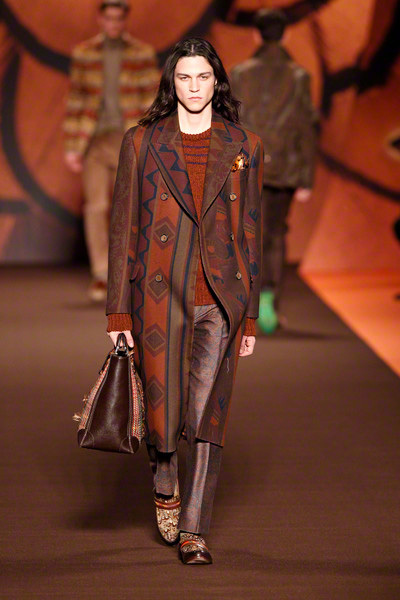 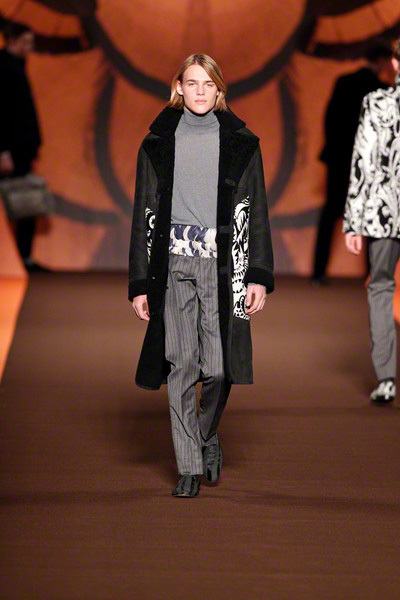 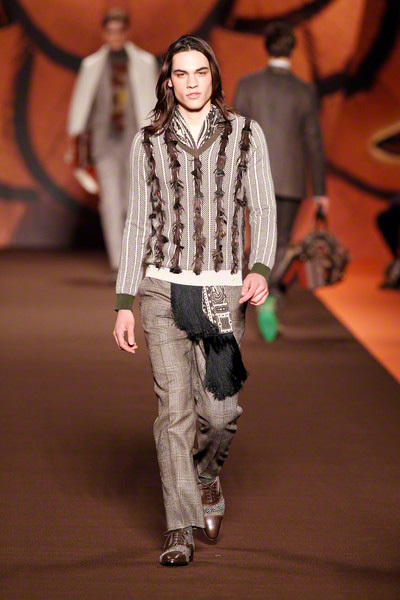 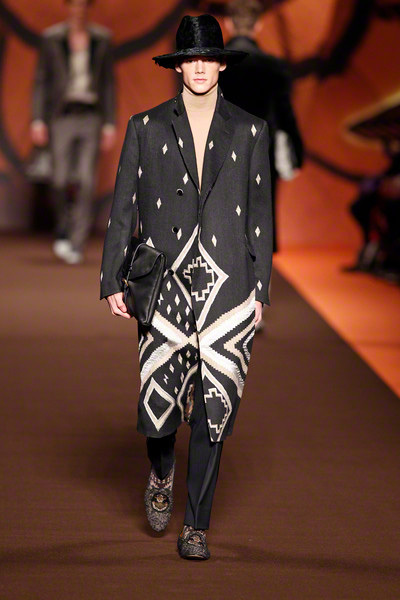 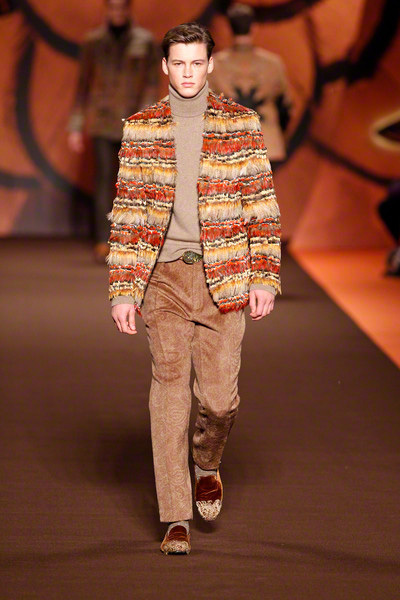 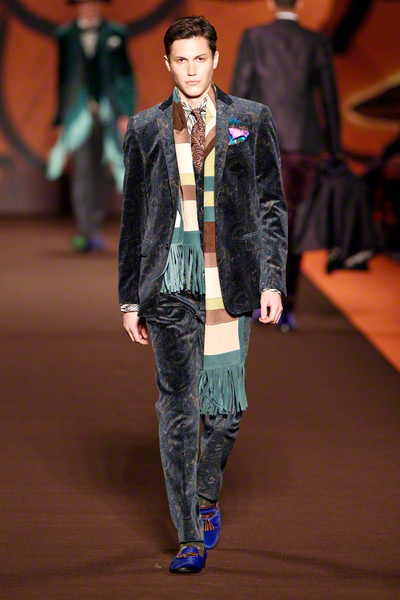 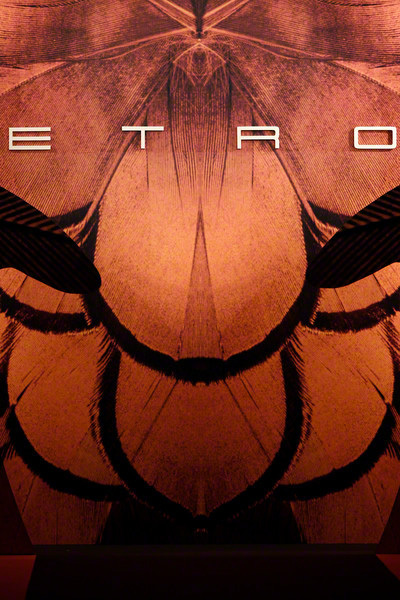 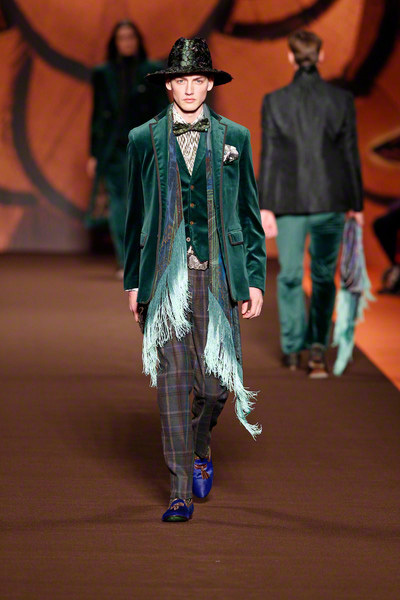 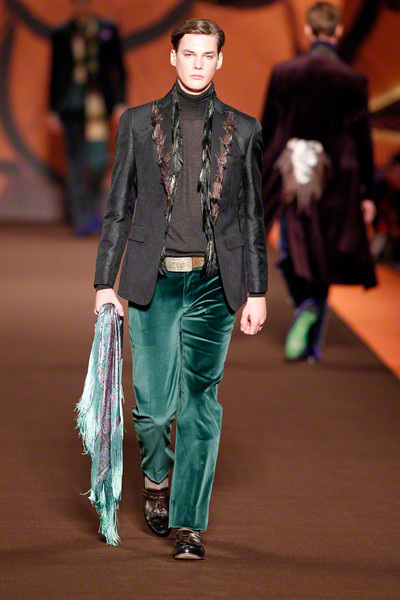 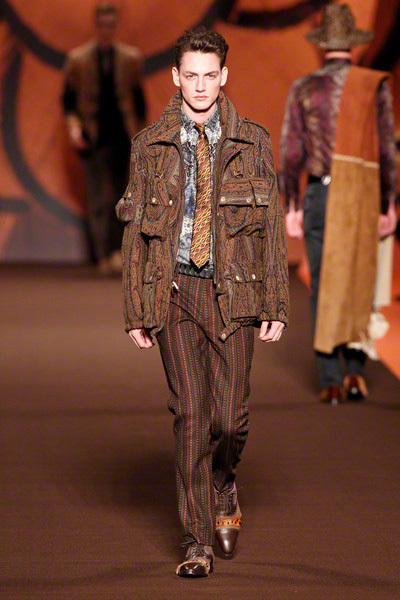 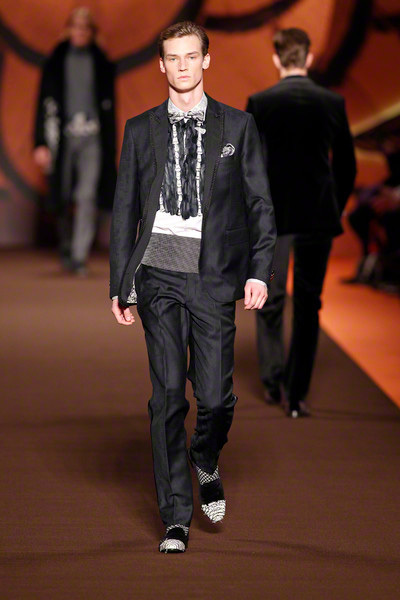 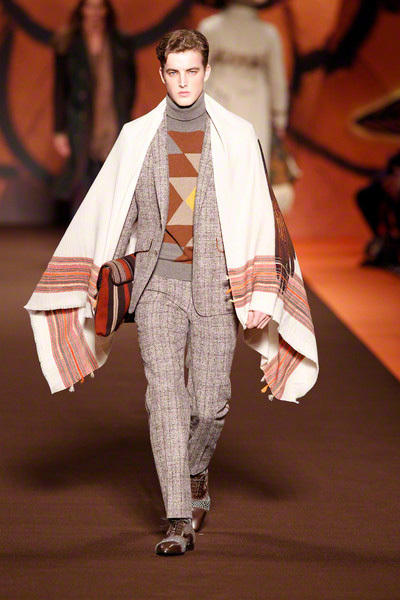 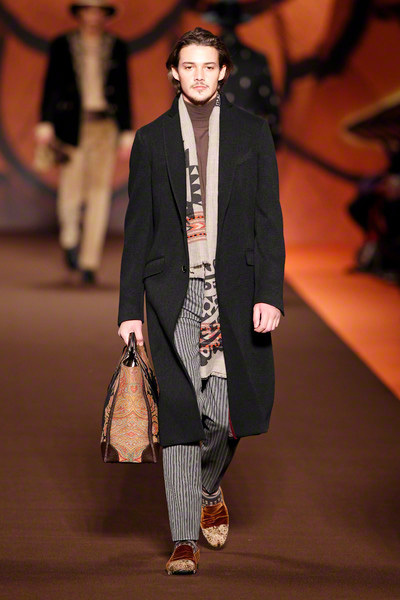 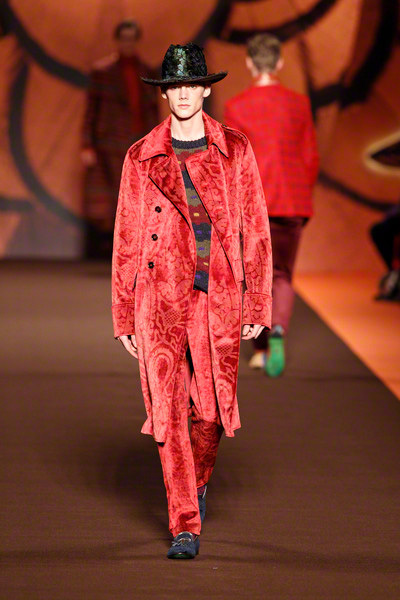 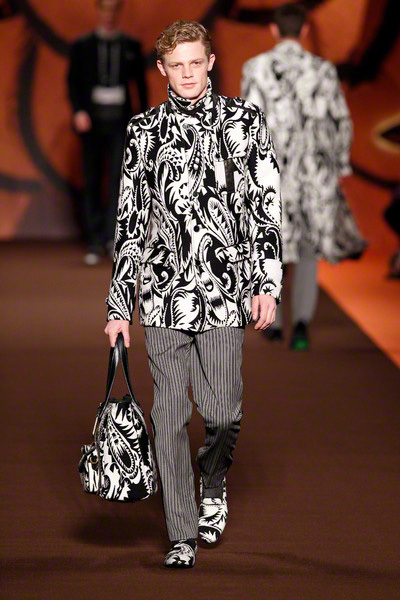 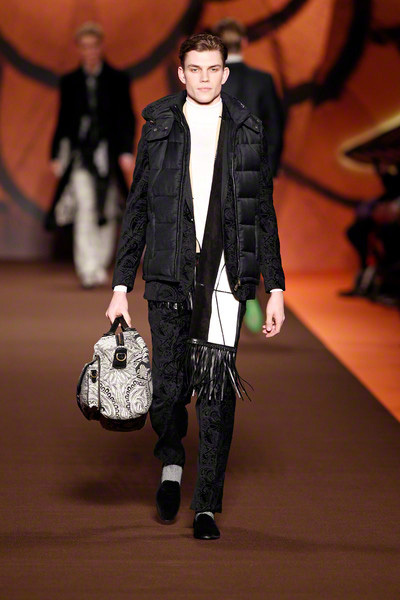 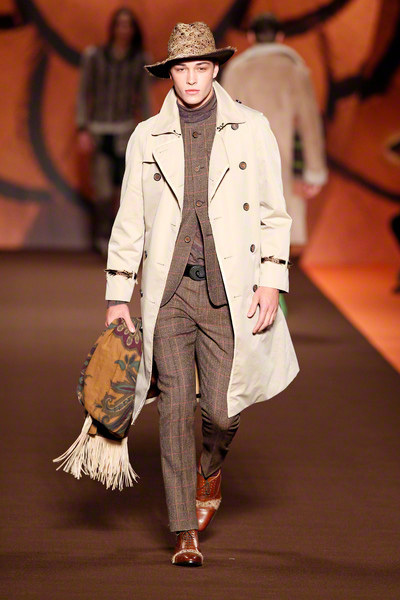 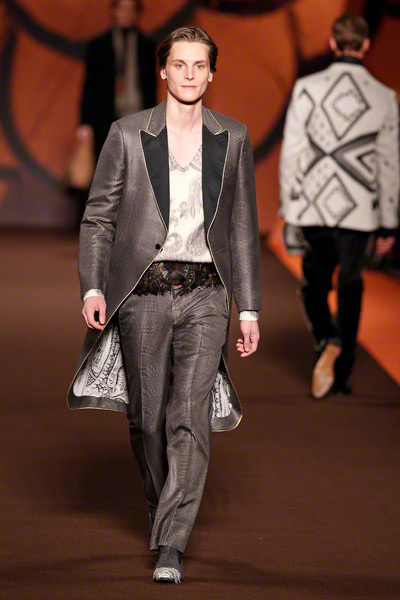 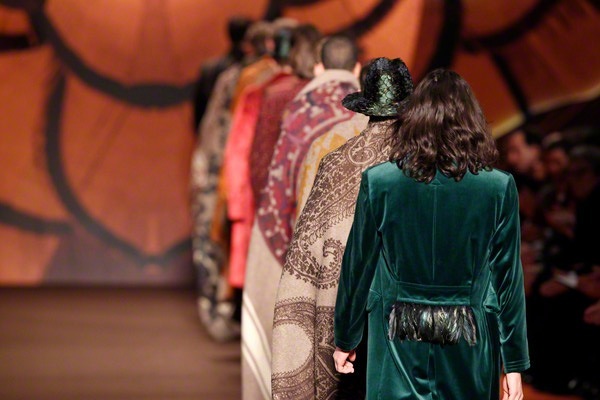 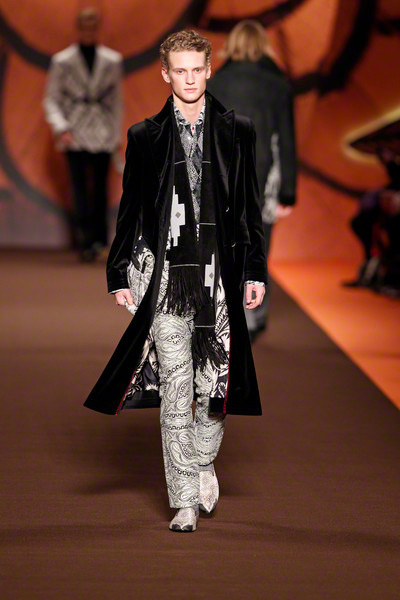 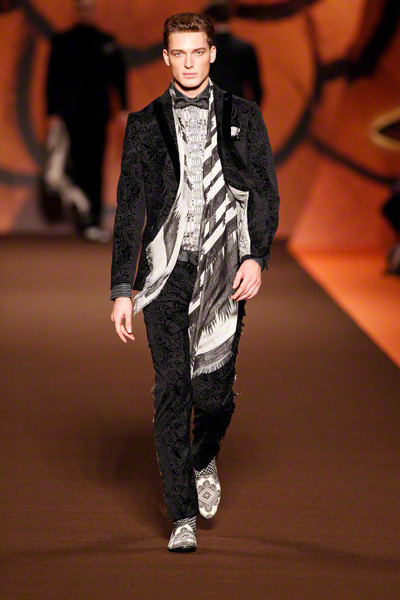 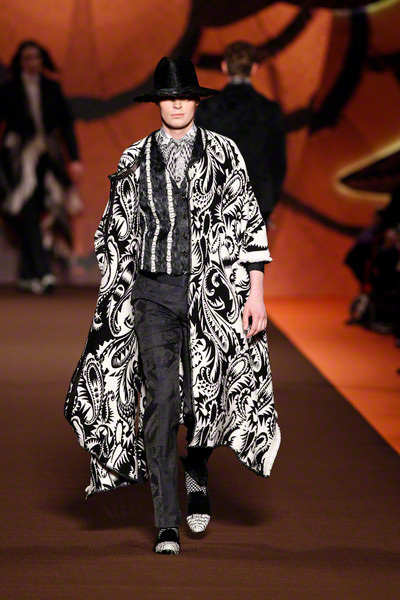 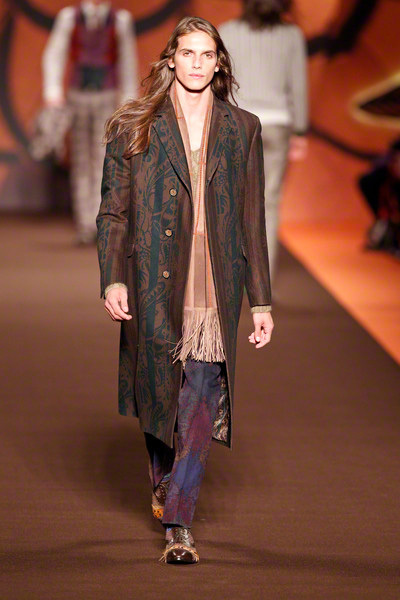 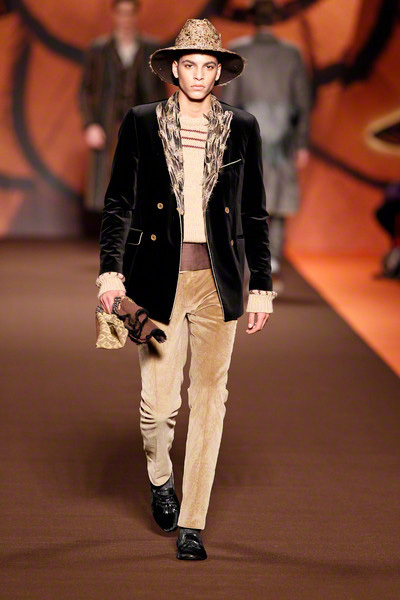 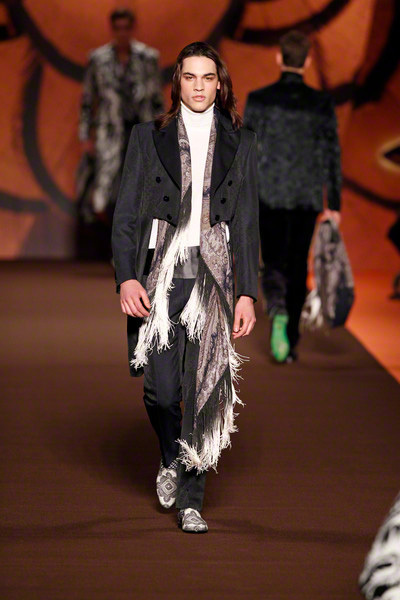 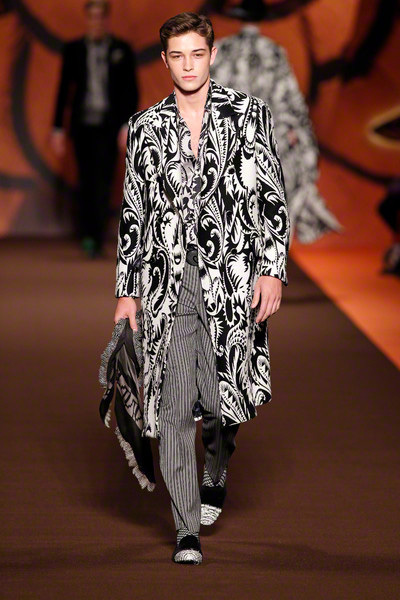 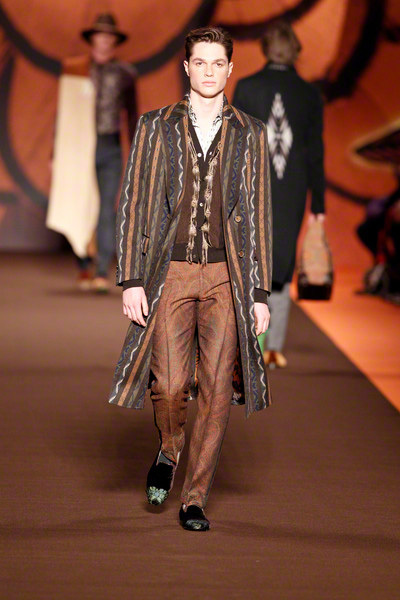 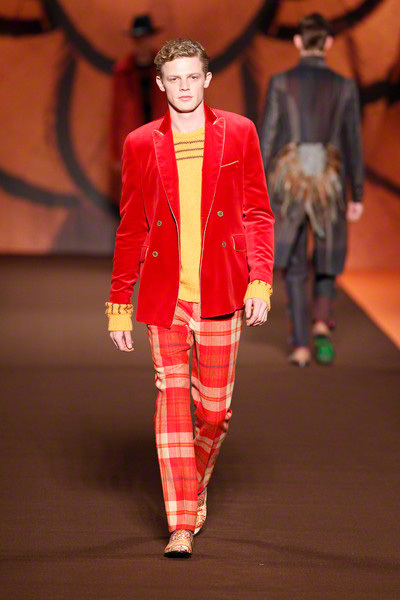 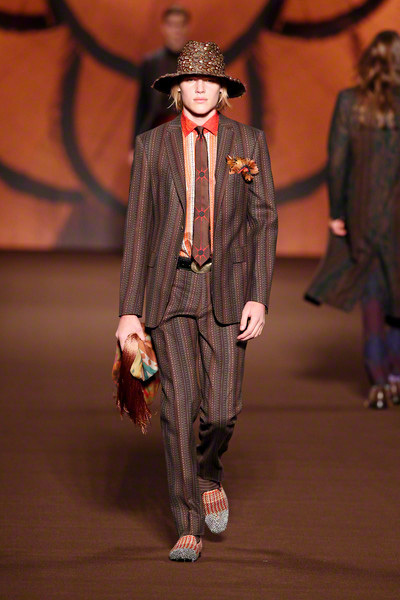 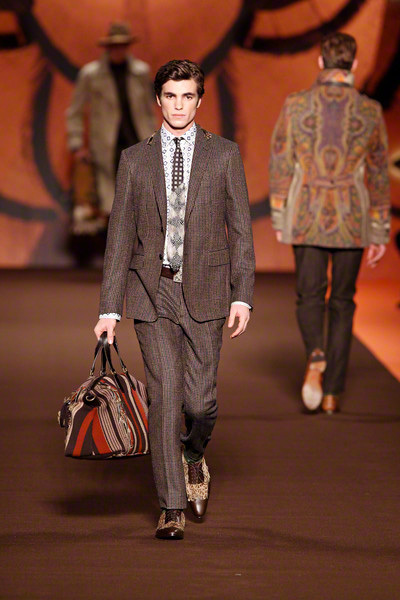 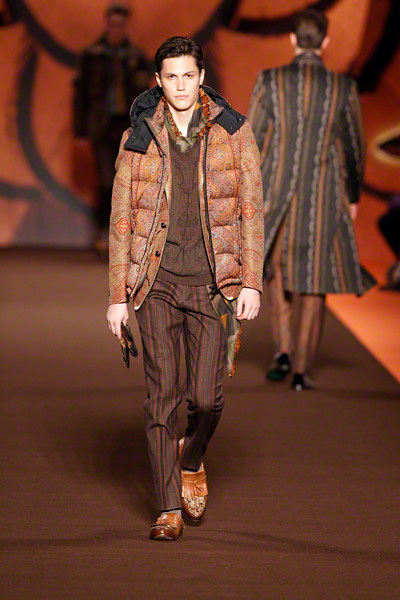 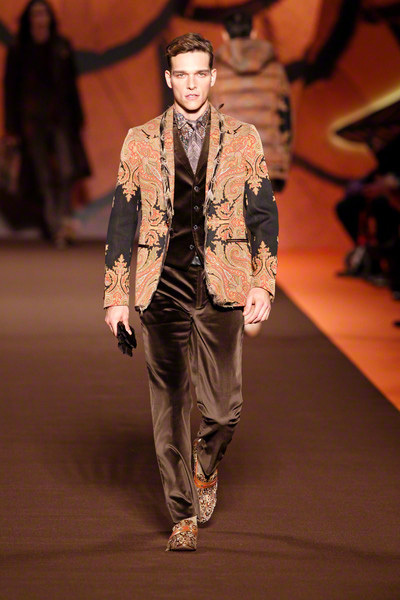 Etro designer Kean Etro couldn’t get enough of feathers for his FW2012-collection. 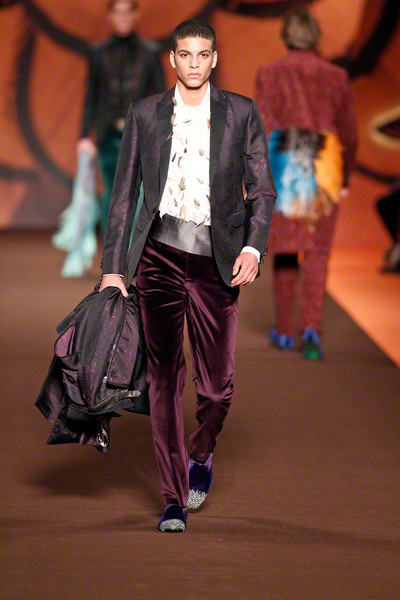 Feather-prints, real fathers, at shoes, vests, blazers and tailcoats. 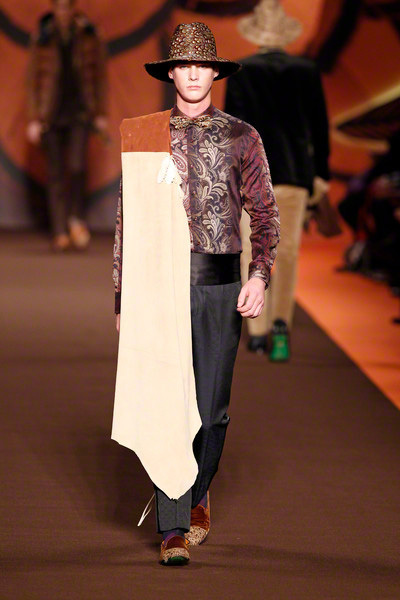 It gave all the formal and evening looks a fancy edge, but it didn’t lead to a strong collection. 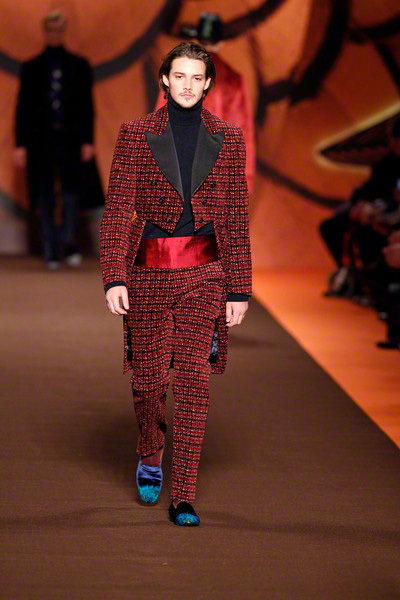 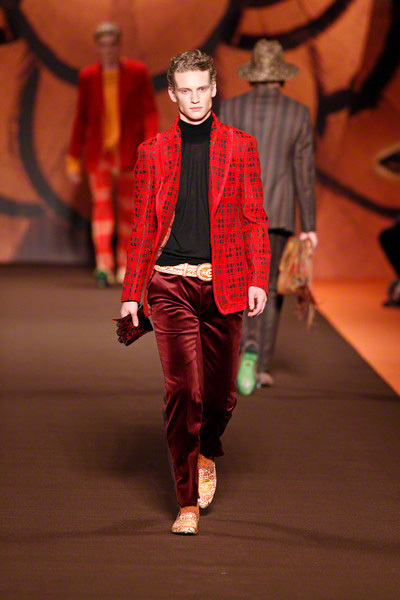 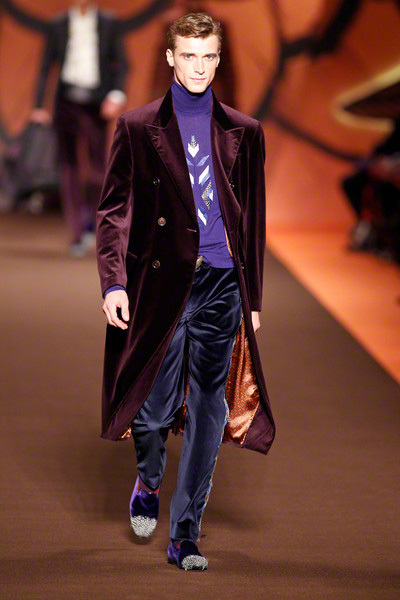 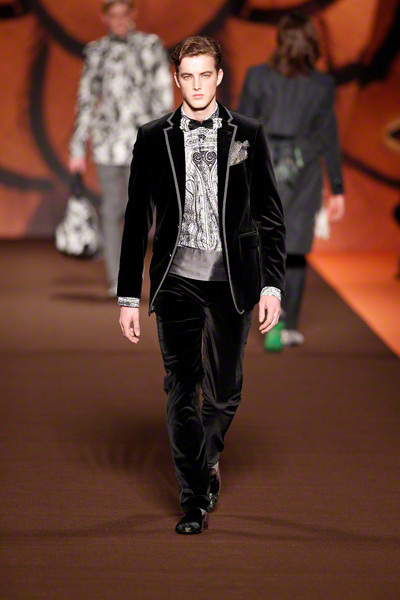 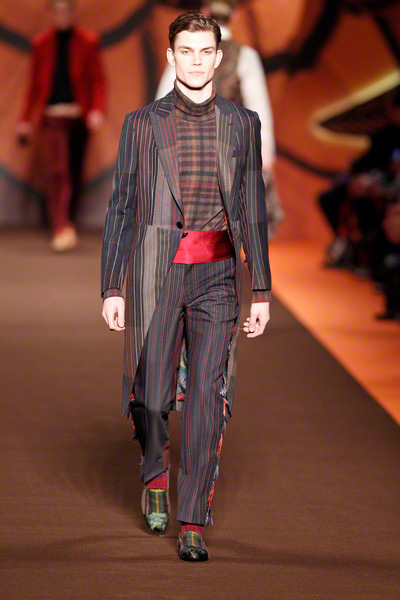 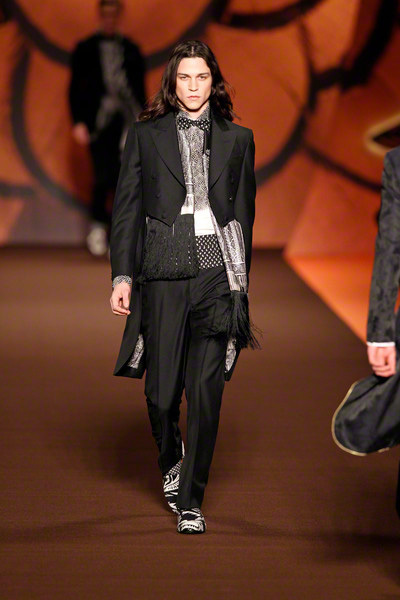 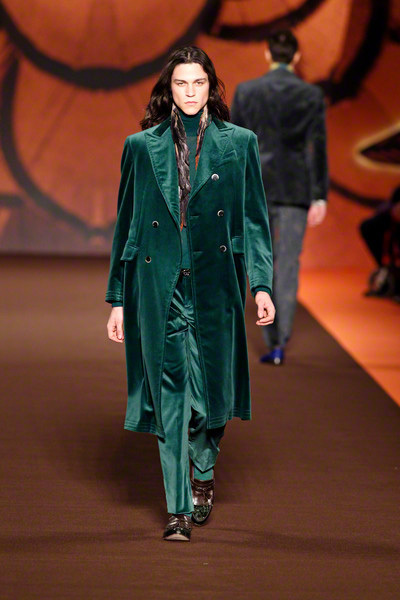 Of course there was the usual velvet, the fitted suit and the usual dark colors plus red and orange, which made the collection fit in the trend of romance & decadence.